It only seems like yesterday that it was opened, with much fanfare and hailed as a signature course for Australian golfing great Graham Marsh. So it’s rather sad news confirmed this week that Paradise Palms, that iconic course north of Cairns, will close its course for good as developers move in to redevelop the site. Those wishing to have their last game of golf on a course that once hosted Australia’s best women professionals in a tournament, will have until June to squeeze in a round there before the layout disappears for good. It has been confirmed that the Paradise Palms course site will instead be used for housing, a school, retirement village and a tourist park. The clubhouse itself is expected to stay and will be the only remnant of Paradise Palms’ 30-year history. Paradise Palms was originally owned by Japanese real-estate giant Daikyo. Designed by Marsh and Ross Watson, it actually opened in 1990 and became famous for its massive greens, lush tropical surroundings which housed a myriad of different wildlife and besides the impressive clubhouse was also rated high on the lists of Australia’s best golf courses published by various golf publications. 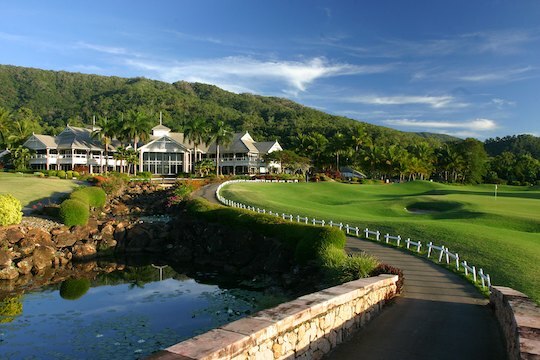 According to the resort’s managing director Darren Halpin, golf will no longer be available at Paradise Palms from mid-June as a development application is lodged with Cairns Regional Council to transform the 18-hole course into a new housing estate. Halpin said the resort and clubhouse facility would remain open. “The clubhouse, which will be repurposed, is to be the only remnant of the property’s 30-year golfing history,” he said. It seems news of the closure was no surprise to residents, who have known for some time that the course was facing redevelopment.